This event finished on 21 March 2019. 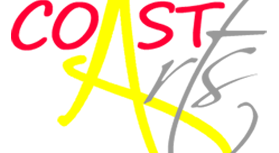 Our chair was approached some time ago to help with COAST Arts and since then Rock the Lobster Open Mic is a proud sponsor of COAST Arts because, like COAST, we believe in making performance art accessible to everyone in North Norfolk. Furthermore our ethos is that anyone, regardless of colour, creed, age or ability should have access to a supportive environment where performers can debut or showcase their talents and learn how to improve them in a constructive welcoming environment. What is Rock the Lobster? ROCK THE LOBSTER is a voluntary group seeking to promote all performing arts (including: live music performers, poets, magicians, dancers, etc.) in Sheringham via Open Mic sessions. Rock the Lobster aims to give performers a chance to demonstrate and develop their talents and to give novices and a go. Ideally this will enable performers to gain experience, improve their skills and, perhaps most importantly, enjoy themselves! If there is a demand we hope to stage workshops in the future. You will find us on Facebook here. Evenings are for acoustic/semi-acoustic performers and bands (including drums, bass, electric guitar etc.) may also come. Poetry, comedy, story-tellers and other performing arts may also be on show. We rely completely on the goodwill of YHA Sheringham (thank you YHA and staff) who provides our venue free of charge and we need your help and support to keep Rock the Lobster going. Any money we raise goes to our running costs of advertising and maintaining our music equipment. In addition we proudly support the Cromer Carnival, Sheringham Carnival, Friends of North Lodge Park, Blue Pits Housing Action charities and groups. We also support Aylsham Festival of Dance, Music & Song and Cromer Vintage 60s Event 2019. If you’d like to come along and see what we are all about, check our website or Facebook page for details of when the next RtL is. It’s usually at the YHA Sheringham on the first and third Thursdays of the month. As YHA is a business sometimes we are unable to have the space YHA usually gives to us due to bookings, so sometimes we have to be flexible about when RtL takes place. Sometimes we take RtL on the road to other locations. This year, for example, we are staging an open mic for Cromer Pier in support of Cromer Vintage 60s Event 2019.